Mithun Chakraborty , India’s first dancing sensation of India, few of the first actor to win the National Award for his maiden movie as an actor, in all a two times National Award winning actor for best actor and for a best-supporting actor, still rocks, look at his old movies, you will see that this culture of ‘Open Arms Stretch Romantic Pose has Become Symbolic For Any Romantic Overtures’ and is very much become iconic move with today’s choreographers and actor’s imitating the same, Loaded with a charming white-bulb-lit smile, that was unarming, gracious unbridled, sweeping, uncomplicated and full of cordiality that became a million dollar overture. True to everyone’s belief Mithun’s style once it was a wave with all the hits and posters across the nations and beyond has become a cult which is very much relevant; his style, groove, and pose transcends all generations with panache. Actor Hemu Shetty, a well-known actor from Bollywood also being touted as the next Bollywood Villain and Bollywood Baddie, recently ranked favourite by bunt community within the inner circle as the promising Actor in the Tulu Cinema,(recently coined as TULUWOOD) and has also been nicknamed as the Tulu Actor and with his long experience as an acting coach , with an ability of a #HistrionicAnalyzer, penchant of an #HistrionicWriter and an overall a celebrated self-styled campaigner of Mithun Chakraborty wholeheartedly compliments "Mithun was always a choreographer's delight, ask any of his choreographers, despite being a dance master to his picturised songs they would say in fact they were learning from him as he brought in fresh and agile moves effortlessly adding novelty, a never seen before for a larger section of the Indian audience. Truly #MithunMagic has been a wave since he entered the filmdom creating a #MithunMania. The Choreographer, being a tutor was always supplemented by a knowledge session, when Mithun’s spontaneous moves, unique grooves, and inventive steps became a revelation during the practice sequences which in turn was known to impart learnings to the choreographer during the song sequences". Actor Hemu Shetty’s (@hemushetty : Twitter Handle ) observations and interactions with many Choreographers has some insights to share “Most of the Choreographers have revealed and many dance lovers also agree that his pelvic jerks were world-class in tune with the grooves of the international dancers combined with the white (toothful) gleam of harmoniously bewitching youthful smile, as rhythmic as his graceful moves adding the sexiness, which made the world drool over him. His smooth and stylish grace of jovial open arms welcome-ness brought in a new wave of overtures and this pose is also one of the Iconic momentous-pose that has been carried forward in most of the romantic dance sequences by the current choreographers to the current series of actors"
The era when he entered the movies, there was no precedence of a sensational dancer, which a follower could aspire for, Mithun had no one in India, where he looks upon to learn and imbibe their steps. One of his earlier dance tutor, an Afro-Asian dancer, had taught him, which left an indelible mark “You have to do something different at all times to make others interested in you.” Mithun created a new way of dancing, his moves, jerks, tilts, gait-changing moves, twirls, rotations, backward-bend, open-hands stretch, extra-grace, pelvis-push, hip movements ….etc all the prancing and cavorts came with the rhythm of the music wrapped in elegance. 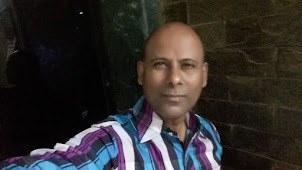 Truly this brought a difference added Actor Hemu Shetty " Movie Disco Dancer brought a disco movement and Mithun became a dancing sensation overnight, Mithun phenomenon gripped the nation and the neighboring countries with this new movement". Every dance and caper of his always had an innovative sway, spin, whirl, twirl, pirouette, gyrations ….etc that were something different and always unfamiliar to the viewers. Now this all was a novelty and with a fresh wave of entertainment. 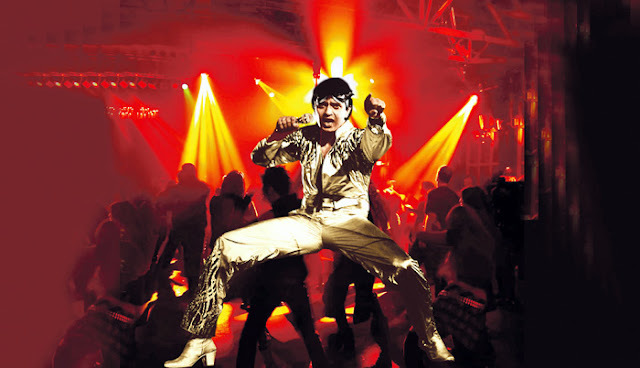 “No matter how the beat is whether slow or fast, his moves are perfect in tempo to the music and movement was always perfect with the mime.” Says Masood Akhtar, a civil engineer-turned-actor, and an avid Mithun Chakraborty fan. With his dancing ability he evolved as a mature actor which was as fluid as the character itself transforming him to one of the India’s finest cine-world performer that rose to be highest tax-payer and a commercially successful star that set the cash registers ringing throughout the year during his regime, viewers liked it, fans followed him and all enjoyed his movies. A teen dance lover and a keen watcher of dance videos and movies commented with great gusto about Mithun “Any music with or without a beat, Mithun will excel because rhythm oozes from his body and he is the mega-repository of Rhythm, that’s the reason no other dancer can perform the way he does and all of his movies and his dance songs are a proof of his legendary work." Be it the Retro movie watchers recalling about dance or dance loving avid movie watchers or simply dance lovers, one thing that will come top of mind is India’s first dancing legend as Mithun Chakraborty! Rightfully named as the Indian Michael Jackson, he’s one of the best on-screen dancers #Bollywood and #Bharatwood (word coined for Indian Film Industry) has ever seen before. The 80s were rocked by the disco songs of Mithunda (as he is lovingly called in West Bengal) and the nation got its first dose of American rock and roll music. Disco King Bappi Lahiri was the music composer for most of these dance-based songs and this duo gave us the grooviest songs of the 80s which are still remixed in discos and pubs. They are famous not only in India but throughout the world! Mithun is truly a global icon for all the dance lovers across the world.